You are browsing the archive for handbook. This post marks the official publication of the volume: Open Data as Open Educational Resources: Case studies of emerging practice. The process of developing this book was a learning experience for us. We had no prior experience in independent publishing, but instead of going the traditional route of attempting to find a professional publisher, in the spirit of openness, we decided to self publish, and to make the entire process as open as possible. 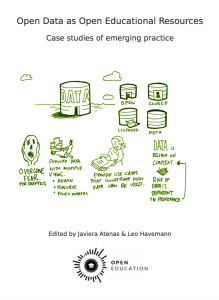 The intention of this book is to showcase good practices in an approachable way that can be understood by those who are not necessarily very familiar with open data or data analysis, in order to promote the use of open data as OER to educators, researchers and other organisations. We decided to seek out evidence in the use of open data as OER, initially by conducting a bibliographical search. As we could not find published evidence, we decided to ask educators if they were in fact, using open data in this way, and wrote a post for this blog (with Ernesto Priego) explaining our perspective, called The 21st Century’s Raw Material: Using Open Data as Open Educational Resources. We ended the post with a link to an exploratory survey, the results of which indicated a need for more awareness of the existence and potential value of Open Data amongst educators. The majority of the proposals we received were accepted as they fit the themes of the book, and yet each took a different angle on the subject matter. Some other authors who contacted us with with ideas which were not quite right for this project were able to find a home for them here on the OEWG blog instead. As we started receiving the proposals we also decided to ask a group of experts if they were willing to join us to be part of a scientific committee overseeing the book of case studies, who would act as peer reviewers but, more than that, work alongside the authors and ourselves, towards developing the case studies within an open review model. The experts that joined with us, Marieke Guy, William Hammonds, Anne-Christin Tannhäuser, Maria Perifanou and Ernesto Priego, have a variety of disciplinary backgrounds and work experiences, but all share an interest in open educational practices and were happy to embrace the openness of the project. As soon as they started selecting the cases and working with the authors to develop the drafts, it became clear to us that we had been joined by a group of fantastic people – making the process much easier for all of us – as the authors and reviewers worked seamlessly in a spirit of mutual respect and admiration. 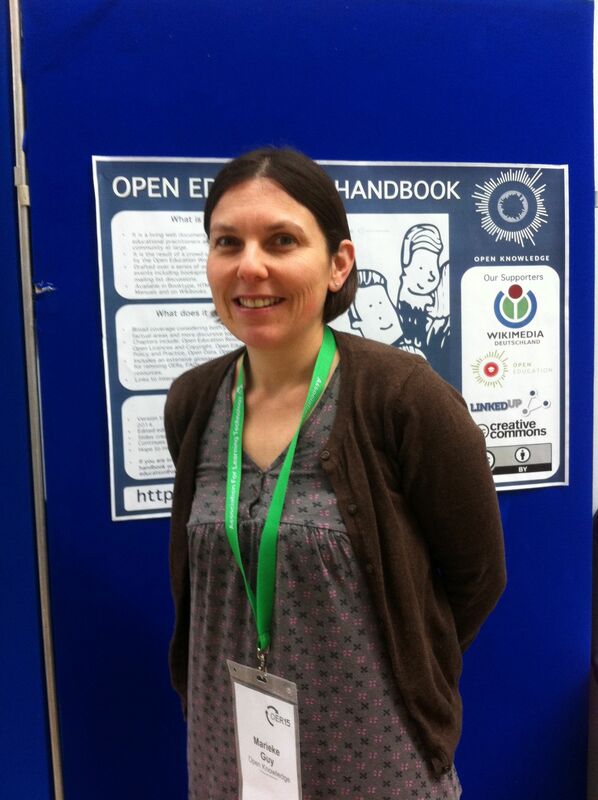 Today and tomorrow we will be at OER15 exhibiting our poster on the Open Education Handbook in the poster display. You can see the poster on Slideshare or download as a PDF. 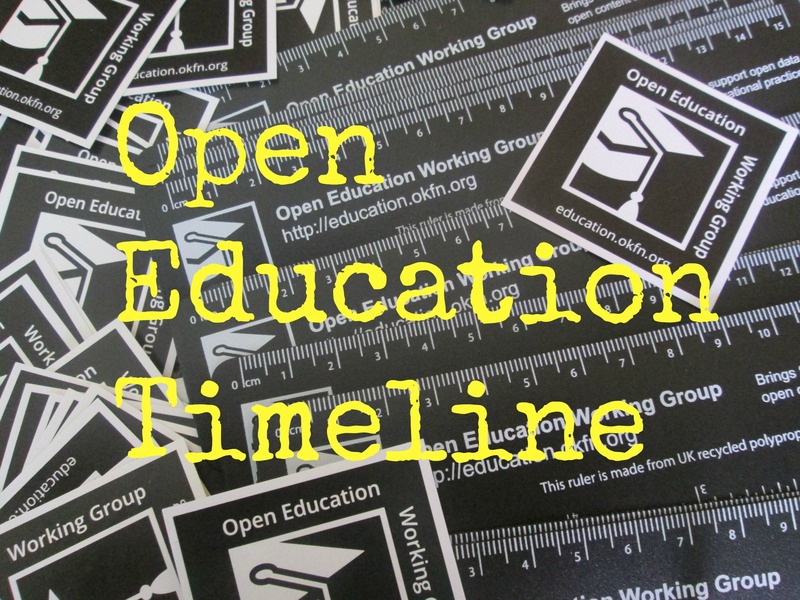 Where would you go if you wanted to know about the history of open education? What about if you were after a list of editor tools for remixing OERs? Or if you wanted to know more about open learning and practice? How about if you wanted to find out more about OERs and their use in the developing world? Or were considering what affect open education has on education? And what about if you were interested in open education data? There is a lot of information on open education and OERs strewn across the web but now it has been brought together in a collaboratively written, user-friendly handbook. The Open Education Handbook is a living web document targeting educational practitioners and the education community at large. 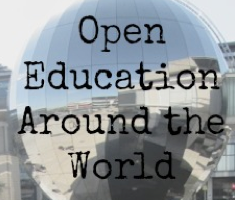 It is the result of a crowd-sourced initiative led by the Open Education Working Group: one in the series of over 20 Open Knowledge working groups that has been established to bring together people and groups interested in open education. The handbook has been drafted over a series of online and offline events including booksprints and focused mailing list discussions. Content is key within the handbook and it has a broad coverage considering both practical and factual areas and more discursive topics. The handbook is currently held in Booktype, an open source platform for writing and publishing print and digital books. 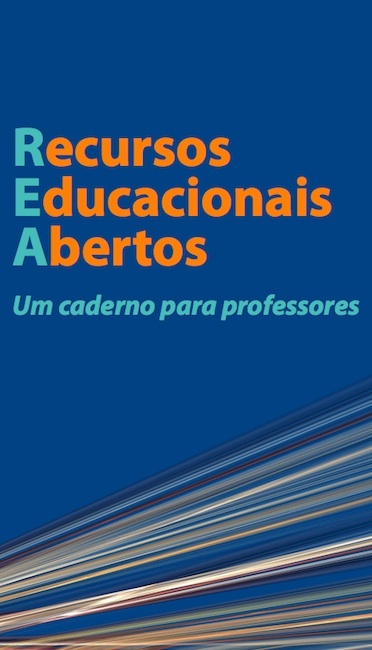 Content from the handbook has been translated into Portuguese (Manual de Educação Aberta) surfaced in open education books, featured on Slidewiki and reused in lots of other great places. Late last year the handbook was edited and tidied up. Improvements were made to many areas including overall structure, typos and writing, universal style, fact checking, citations and links, glossary and definitions. An iteration of the handbook was then made available as a PDF and in ePub format. To realise its full potential as a resource the handbook needs to be allowed to continue to evolve and be built upon. Discussions have already taken place around the future of the handbook and possible ideas include moving it to Wiki books, embedding it within Wikipedia and building a front-end for it to use with Booktype. It is hoped that these ideas can be developed further in discussion with the community. Would you be interested in contributing to the handbook? Can you help formulate the next steps for this great open resource? This poster will share highlights from the handbook, its development and its future. The Handbook is available under a Creative Commons Attribution 4.0 International (CC BY 4.0). So who is off to OER15 next week? This year’s Open Education Conference (OER15) will take place at the Royal Welsh College of Music and Drama in Cardiff. OER15 is one of a series of annual International conferences which discuss research and practice in the adoption of Open Education in all sectors of Education and Training. The Open Education Working Group will be represented with a poster on the Open Education Handbook. We are looking forward to meeting up with members of the community from all around the world! See the participant map for a look at the spread of delegates! 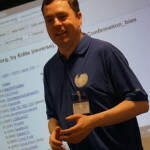 Martin Poulter from WikimediaUK has taken some first steps to do this and has copied the Open Education Handbook to Wikibooks (https://en.wikibooks.org/wiki/Open_Education_Handbook). Here he shares some thoughts on the process and how the open education community can improve the content and build new books. 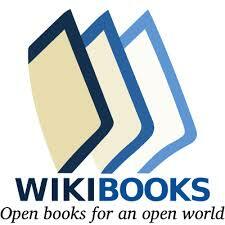 Wikibooks is a sister project to Wikipedia. User accounts on Wikipedia work on Wikibooks, and the editing interface is the same. However it is quieter than Wikipedia and there are no problem with trolls or hoaxers. It is specifically meant for manuals, how-tos, recipes and textbooks and less constrained than an encyclopedia. Like all Wikimedia projects it is truly free: reusable by anyone for any purpose under CC-BY-SA and the GNU Free Documentation Licence. It is also massively multilingual, so for example, there is a Portugese Wikibooks at https://pt.wikibooks.org/ which could potentially host the translated version of the Open Education Handbook. It is also connected to Wikimedia Commons: any of Wiki Common’s 24 million open-content media files can be embedded in Wikibooks. In the process of making the Wikibooks edition, I have identified some minor errors like typos and broken links. I’m making these publicly available so that anyone hosting the book on any platform can make the same fixes – Google doc. As well as corrections, the Wikibooks edition has an in-book search facility as well as live-export-to PDF or to print-on-demand. Other books/manuals licensed compatibly (CC-BY-SA or CC-BY) that can be imported. Editors/proofreaders : just create an account, read the books and correct any errors you find. Illustrators: find an existing image on Wikimedia Commons to illustrate a Wikibook page, or upload freely-licensed images to Commons. Other communities who want to collaboratively build a book reflecting current knowledge on any topic (could be a group of students on an assignment). NB: Wikibooks content is supposed to be descriptive “how-to”, not a catalogue of web sites. Some of the Open Education Handbook sections are mainly links lists, but I advise against that style. You can normally get readership stats for any page on Wikibooks by clicking “View History”, then “Statistics”. The Open Education Working Group will be participating in an Open Knowledge Community session entitled Presenting the Open Education Handbook. The session will take place online on Thursday Dec 11, 2014 – 10.00-11.00AM UTC – Google Hangout link. The Open Education Handbook is a collaboratively written living web document targeting educational practitioners and the education community at large. The session will be an opportunity to hear about the history of handbook, the current status of handbook and be involved in a discussion about the next steps for the handbook. It will be facilitated by Christian Villum (Open Knowledge) with presentations from Marieke Guy (Open Knowledge and Open Education Working Group co-ordinator) and Rob Farrow (Open University). The Working Group Call etherpad will be used for notes before and during the session. The Open Education Handbook was conceived as an intended deliverable for the LinkedUp Project. The LinkedUp Description of Work describes the ‘LinkedUp Handbook on Open Data in Education’ as a “resource for both educators and Web data providers as well as adopters….The Linked Up Handbook will be created as a living document to reflect project learnings and findings, which will help others, both during the project and beyond it“. 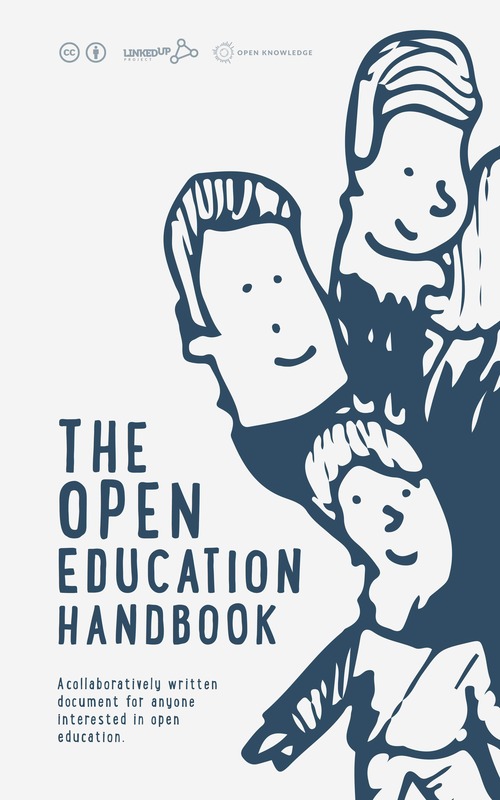 To fulfill this brief the handbook has evolved to consider the broader scope of open education resulting in it being renamed as ‘the Open Education Handbook‘. It is a collaboratively written living web document targeting educational practitioners and the education community at large and has been developed through a series of offline and online events. During its evolution the handbook has received contributions from organisations and individuals that span sectors and countries. The writing of the handbook has been very much embedded within the Open Education Working Group and will continue to remain an important part of our working group work. The content of the Handbook has been crowd-sourced and drafted over a series of online and offline events. The initial booksprint was held in London on 3rd September 2013 and the handbook was formed in three Google docs. In late 2013 the handbook was moved from Google Docs to Booktype, an open source platform for writing and publishing print and digital books developed by SourceFabric. It has continued to be written in Booktype and the software has been found to be a suitable platform in which to house a collaboratively written handbook. A second booksprint took place in Berlin on Friday 22nd November 2013 and was organised in collaboration with Wikimedia Deutschland. During this event the handbook was ‘chunked up’ into a number of question areas and discussion took place over the direction of the handbook. On January 20th, as an activity for Education Freedom Day, the Open Education Handbook was translated and adapted into Portuguese. This process highlighted some interesting possibilities and challenges for the handbook such as the requirements of a global audience. 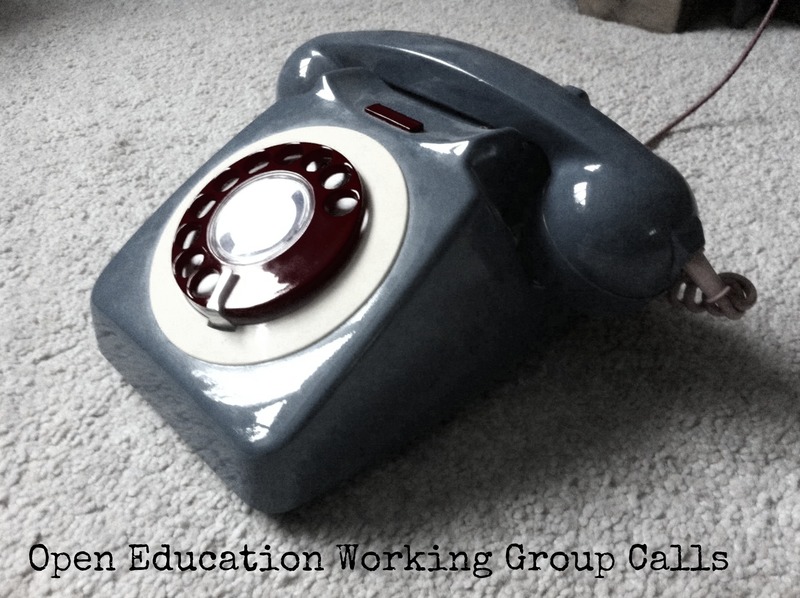 Throughout 2014 the handbook has been further developed through a series of Friday Chats that have taken place on the Open Education Working Group mailing list. These discussions have provided the handbook with well-thought out objective content that is not available elsewhere on the web. In late September 2014 in preparation for the delivery of the ‘final version’ of the handbook an external editor (Rob Farrow of the Open University) was employed to proof read the handbook. The editor was asked to look at areas including overall structure, typos and poor writing, universal style, fact checking, citations and links, glossary and definitions. 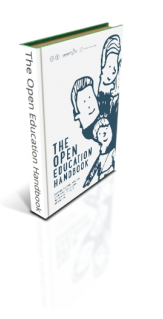 The handbook is now a comprehensive and intelligent overview of the current situation with regard to Open Education and Open Education data. However to realise its full potential such a resource needs to be allowed to continue to evolve and be built upon. The writing of the handbook has been very much embedded within the Open Education Working Group throughout the LinkedUp Project lifecycle, and it is here that it will continue to stay until a more appropriate place is found. 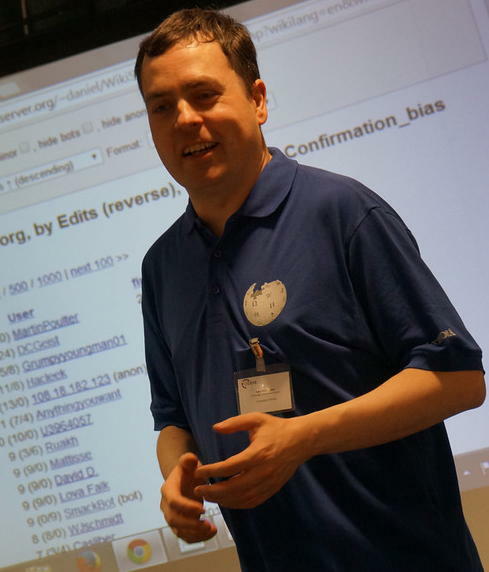 Discussions have already taken place around the future of the handbook and possible ideas include moving it to Wiki books, embedding it within Wikipedia and building a front-end for it to use with Booktype. It is hoped that these ideas can be developed further in discussion with the community. So how about an up-to-date, collaboratively written handbook on Open Education? Yes! That’s what we’ve been working on for the last year at the Open Education Working Group. The Open Education Handbook is a collaboratively written living web document targeting educational practitioners and the education community at large. It offers an introduction to various open education topics including open education data, open education resources, learning and teaching practice, open source tools and open accreditation. It is also a springboard from which users can connect with other relevant resources. The handbook is currently available in Booktype, an open source book authoring tool, and can be edited by anyone. We have to deliver a version of it reasonably soon (early October) for the LinkedUp Project so now would be the time to make any edits you’d like to make. Make sure your project is mentioned. Make sure your point of view is included. If you need some help on getting started, setting up your Booktype account etc. then take a look at our introduction page. If you’d like some help with ideas then check out our quick wins page. Alternately have a look at some of these possible questions, pick one and get editing!! Is traditional education not open? Who is meant to benefit from open education? Open (as in access) or open (as in participatory & contribution)? What about the quality of OER? Can OERs be broken down into elements? Are OERs being used by teachers? Is open content accessible to those with disabilities? 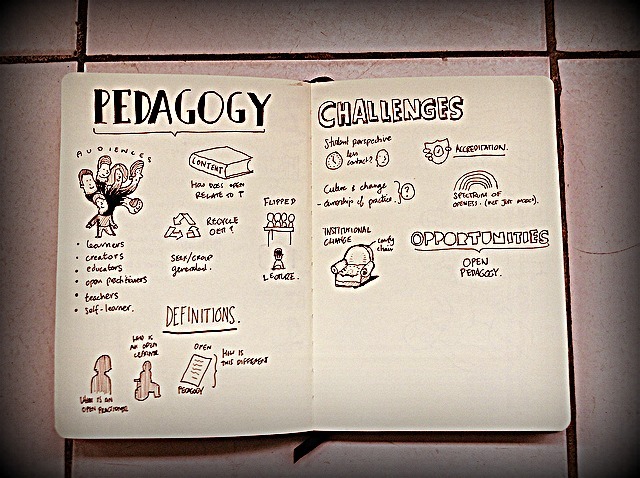 What is the difference between open education and open learning? How does policy relate to open education? What data is available from online education? What open data in education use cases are there? Happy Open Education Week! We hope you are managing to take part in some of the great events that are taking place! Looking forward the Open Education Working Group will be represented at the forthcoming Helsinki Learning Festival – Oppi. The very first Oppi Festival takes place in Helsinki on the 11th and 12th April 2014. Oppi is a unique, non-profit celebration of learning and education produced by Suklaa and The Finnish Institute in London. The festival will bring together the brightest minds and the most radical ideas in the world of educational for two days at Finlandia hall! The working group will be facilitating a workshop session entitled Open Education: Bringing together loose ends. The workshop will involve a hands-on mapping exercise and the results are likely to feature in the Open Education Handbook. The session will be led by Marieke Guy, Open Knowledge Foundation, UK and Dr Jan Pawlowski and Henri Pirkkalainen both from the University of Jyväskylän, Finland. Jan and Henri work on the Open Educational Ideas Project. The full programme is now available from the website. The OPPI Featival lineup includes Pasi Sahlberg, the internationally known specialist on Finnish education, and Sarah Brown, chair of the Global Business Coalition for Education and co-founder of A World at School. Contributions from Sanoma, The Innovation Unit, The Mozilla Foundation, NESTA, Microsoft Partners in Learning, Times Educational Supplement, and experts from around the world make this a phenomenal opportunity for anyone working in education. Additionally, the festival organisers are curating a programme of workshops, hacks, debates, music, entertainment and fringe events. Tickets are available from the Oppi Website. On January 20th, as part of Education Freedom Day, the Open Education Handbook was translated and adapted to Portuguese (you can read more about the initial call for interest published on the blog). The translation was led by Raniere Silva, Tel Amiel and Ricardo Panaggio with support from the Open Education Working Group. At the end of January we translated the draft of the Open Education Handbook to Portuguese as part of the Education Freedom Day activities. The process was carried out by exporting the handbook from Booktype and using Transifex to manage the translation. The headquarters of the translation was the Campinas” Digital Culture House (the web site is only available in Portuguese) where we (Raniere, Tel and Panaggio) worked on the translation with the remote help from six other people. And today we are proud to make this translation available in EPUB format (since the original text is not yet a final version you will find some chapters that have only comments and links). You can use Calibre or FBReader to open the files, both are free software. We had plans to do a continuous translation of the Open Education Handbook however this was not currently possible to due technical issues using Booktype and Transifex (for more information see this report). We are in discussions with the Booktype developers to see if they can solve this technical issue. Some of the content had been copied and pasted from a sites that did not explicitly license their information freely/openly (most of the time these were project descriptions taken directly from the project sites). Nonetheless, there will need to be clarity around the use of this content. We found many of the conceptualizations to be an initial draft (or as above, copied) that did not explain the concepts comprehensively. In some places we found URLs and in others places links. There needs to be more consistency in the handbook. There was also a technical issue with regard to some of the html. In some areas there was style information and other details brought over from Google docs. This made the translation difficult. The html could do with some cleaning. These are not unusual concerns, considering that this was a crowd-created resource which is still in the early stages of being written and we are attempting a “direct” translation of the resource. Idealy (or from the get go) the resource will now be remixed, considering the contributions which might most benefit a Brazilian version of the book, adding new content, and making new connections, which can then offer improvements back to the English version. This was an interesting opportunity to experiment with Booktype and Transifex and to work collaboratively in order to expand the reach of a valuable resource. 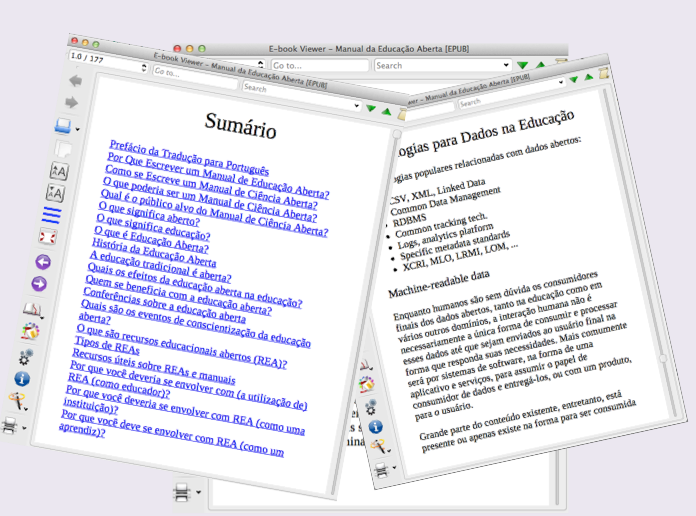 As a sub-project, we will now “remix” some of this content and weave it, after some adaptation to the Caderno REA an open book on Open Educational Resources written collaboratively, licensed openly (CC-BY) and distributed via wiki and print, available in Portuguese. 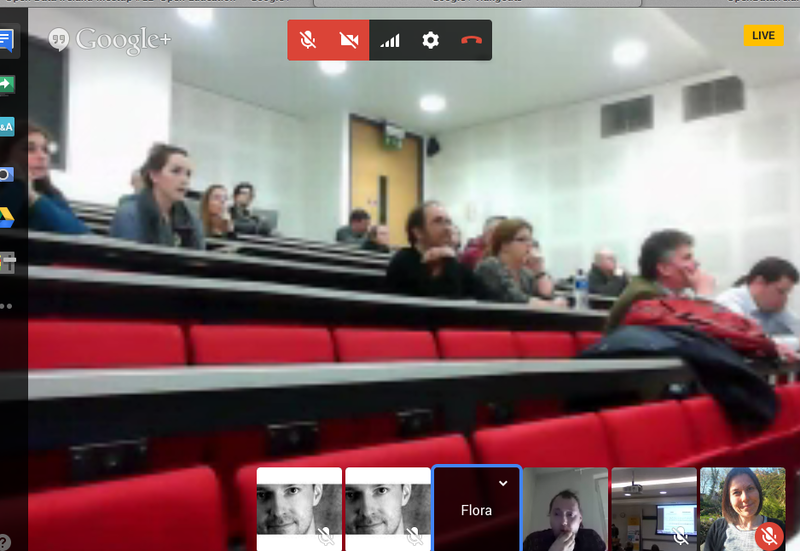 The Open Education Working Group was represented virtually (via Google hangouts) at the Open Data Ireland event held at the University College Cork yesterday. The meet up brought together those interested in open education and in joining a booksprint to take place on International Open Data Hackathon, Saturday, 22nd February. The evening began with an introduction to Open Knowledge Foundation Ireland from Denis Parfenov, OKF Ambassador for Ireland. Unfortunately the wonder of technology didn’t extend as far as I would have liked and I was unable to hear Denis’s presentation. His slides are available on Google docs though. There then followed a really interesting talk from Joonas Mäkinen on Finland’s Open Education achievements. They have been battling the high cost of textbooks and ran a booksprint to create an openly licensed maths textbook. 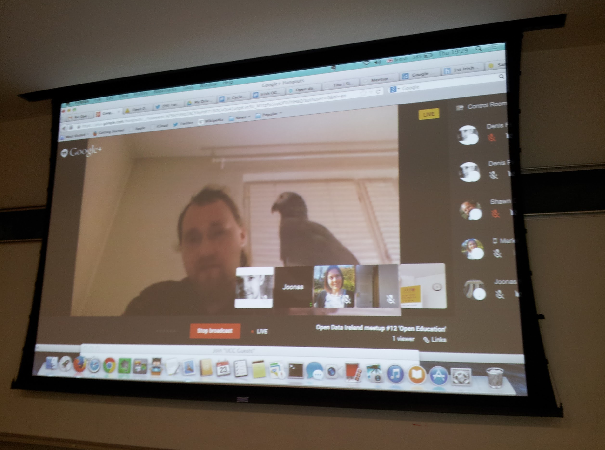 Like me Joonas was presenting from his home via Google Hangouts and managed to easily out stage me by having his pet bird sat on his shoulder during most of his talk! My brief was to give a presentation that would inspire participants to be a part of ‘open education’ in Ireland and beyond. I gave a board overview of the LinkedUp Project and the working group, focussing on the role we feel open data has to play in education. My slides are available on Slideshare and below. The evening concluded with a talk from Darius Whelan, Creative Commons Ireland, on current Creative Commons trends both in Ireland and further afield. I’m sure after the talks there was time for further discussion and planning for the booksprint. You can sign up online to participate in the booksprint, which will take place in Dublin. Thanks to Denis Parfenov for inviting me along.